What’s It Like To Ski All of Colorado’s 54 14er’s? A Chat with Brittany Konsella. One of the coolest things about TheSkiDiva is the variety of women you can find on the forum. 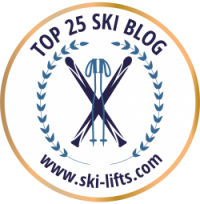 We have everyone from beginners to experts, from women who ski every day to those who only go a few times a year. 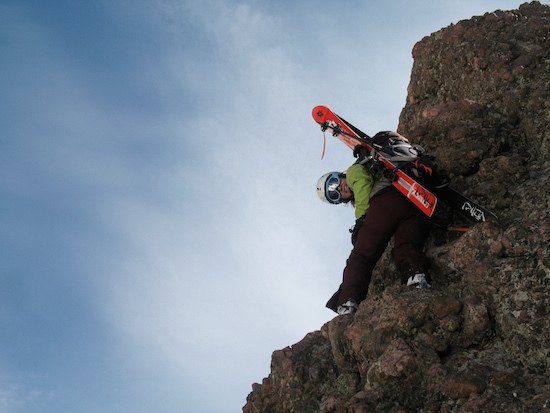 And while each of us is remarkable in our own way, I couldn’t help but be awed by the accomplishment of one of our more recent members: Brittany Konsella is the second woman to have skied all fifty-four of Colorado’s 14ers (mountains over 14,000 feet high). A high school math and science teacher by day and a skier, well, also by day but when she’s not teaching, Brittany started her quest in 2006 and finished it five years later. I recently had the pleasure of speaking to her about it. SD: How’d you get started? And what inspired you? BK: I competed in freestyle skiing for a number of years, and when I quit I was looking for something else to do with the sport. 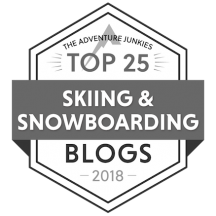 I got into backcountry skiing, and when Chris Davenport made it his mission to ski all of Colorado’s 14ers, that inspired me to get started. At the time I didn’t know of any other women who were doing this, but I thought it was a good goal. And I got some important encouragement. I had a really good ski partner who was a solid backcountry skier and had been on some of the harder 14ers, and I asked him if he thought I could do it. He said definitely. I don’t think I would have even tried if he hadn’t said that. BK: Skiing 14ers isn’t that different from skiing the other mountains around here. Some of them are just a little bigger. So no, I didn’t do anything special to prepare. SD: How many did you do the first year? BK: The first year I did seven, the next two years I did 23, then 22. SD: How’d you decide which ones to do next? BK: I started with some of the easier ones and worked my way up to the harder. And I watched conditions throughout the state – the snow and the weather. Other times it was just a matter of making sure the avy danger wasn’t bad, as well. SD: Did you go alone or with friends? BK: I went with friends, but then I ended up going with my boyfriend, who then became my husband. We met during the first year of my project, after I’d already started. I found out there was this other guy who’d skied one of the other 14ers, and we ended up skiing together. Then we started dating, and he became my main 14er partner. We skied over 30 together. And though he first said he wasn’t interested in doing them all, he ended up skiing a lot of them without me. 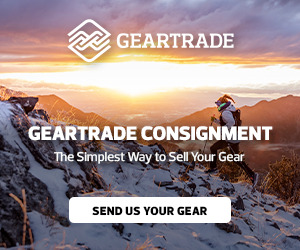 SD: What about gear? What did you use? BK: For skis, I primarily used various versions of the Volkl Mantra. A lot of people tend to use lighter skis in the backcountry, but I like skis that are stiff and can drive through variable snow conditions. I had a pair of skis that were light for a little while, and I summited Crestone Peak with them. Conditions were really icy, which is something I usually excel at. But in this case, the skis were too soft, and not at all torsionally stiff. Frankly, I was terrified skiing those conditions on those skis. I sold them the next week. I skied the 14ers before rocker really took off. Now I’m a rocker addict and I really love my Black Diamond Amperage. They’re the best backcountry ski I’ve ever owned, and they’re great at the ski area, too. For boots, I started off with the Garmont SheRides. That was the stiffest AT boot they made at the time, but coming from a Lange World Cup Race boot, I might as well have been wearing Sorels! I didn’t really like them, but I got them to work until I got my Scarpa Divas. I liked those quite a bit, but I still wanted stiffer. Since finishing my 14ers, I’ve finally found happiness with my Black Diamond Shivas. They’re a great stiff boot, but light and comfortable enough to have on long backcountry expeditions. SD:What was your most memorable 14er? BK: Probably Pyramid Peak. It was something I had to go back for three times before I finally skied it. I didn’t have to do that for any of the others, though some I had to go back for twice. The first time I was just too tired to make the hike, the second time, the weather shut us down, and the third time, we finally did it. And though it was the second most challenging climb, I think it was the hardest to ski. It’s very, very steep – maybe 55 or 60 degrees off the top. The main thing is that it’s over 4,000 vertical feet to the valley floor, so you get this really nice, long ski. The fact that it was my second to the last also made it memorable. And when I first met my husband, that was the peak that he had just skied, so it was cool to be able to ski there, too. SD: Which was the hardest? BK: Capital Peak. It was a really difficult climb. I’d say I was fearful for my life for about nine hours straight. It’s very steep and exposed and we had some pretty rough conditions. Basically, if you fell you would probably die. That took 21 hours. It was long and intense and difficult, and I will probably never do it again. SD: What was your last peak and did you do anything special to celebrate? BK: As I neared the end of my 14er goal, I had some pretty hard ones left and one easy one. A couple other people had skied the 14ers by then, and they advised me not to leave the hardest for last because it puts too much pressure on you. So I did an easier one: Pike’s Peak. A lot people drive to the top, ski down, then hike back up. And that’s what we did. The road was open within a couple miles of the summit, so we parked and walked to the top from there. To celebrate, I had about 10 or 12 people come ski with me – some of my better partners and friends. SD: Did you have a real feeling of accomplishment? BK: It was kind of really sad. I thought I’d be elated to be done, but it wasn’t like that at all. I didn’t know what to do next. SD: You were the second woman to ski all the 14ers. How did you feel about not being the first? 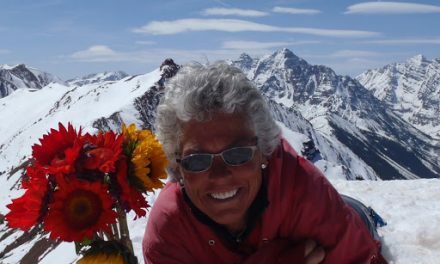 BK: When I started skiing the 14ers, only one person, Lou Dawson, had completed them all. By the time I finished, there were eight others before me. Equipment and information finally made skiing them a little more achievable and that’s why so many people went after it at the same time. I’d be lying if I said I wasn’t disappointed I wasn’t first. But I always knew that was a real possibility. My goal from the start was to ski all of Colorado’s fifty-four 14ers, safely and within five years. And I was able to achieve that goal. Being first would have been icing on the cake, but it was never part of my actual goal. SD: So what are you going to do next? BK: Every backcountry skier has a list of peaks they want to ski, and that’s what I have. I’m constantly crossing peaks off my list, but the list keeps growing faster than I can eliminate them. SD: What was your take-away from this experience? BK: I really think that skill and ability are only part of skiing. If you put your mind to something, you can achieve it. For the majority of the 14ers I skied, at least the harder ones, it was more of a mental battle than physical. There comes a point that if you go for 10 hours, you can go for 20. It doesn’t really matter. I think my longest one took 21 hours. There were points when I had some self doubts, but it worked out in the end. To find out more, check out Brittany’s blog. Go here. NextIt’s summer. Here’s what you need. 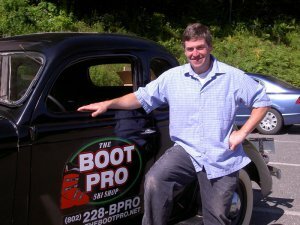 A talk with a boot expert. 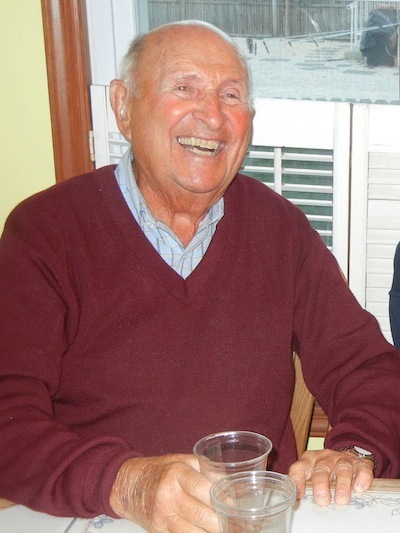 Happy 90th birthday, Dad. And thanks for the skiing. A conversation with Didi Lawrence. Hi, please check the link to Brittany’s blog, there’s glitch. GREAT interview! Thanks, Vicki! It’s fixed now!